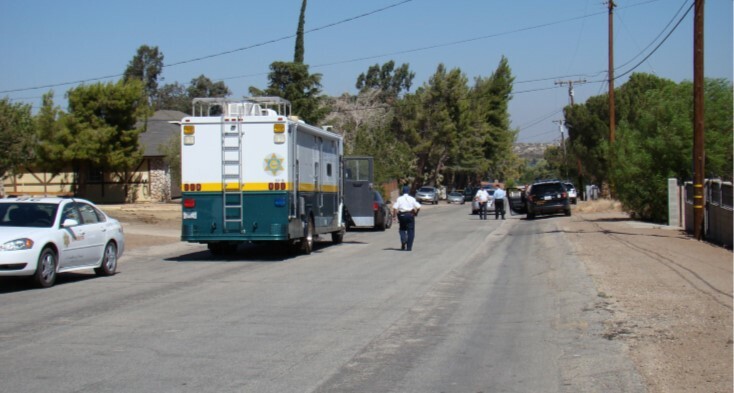 PALMDALE – A woman was detained after she shot one of two men she saw fighting, killing him, authorities said. 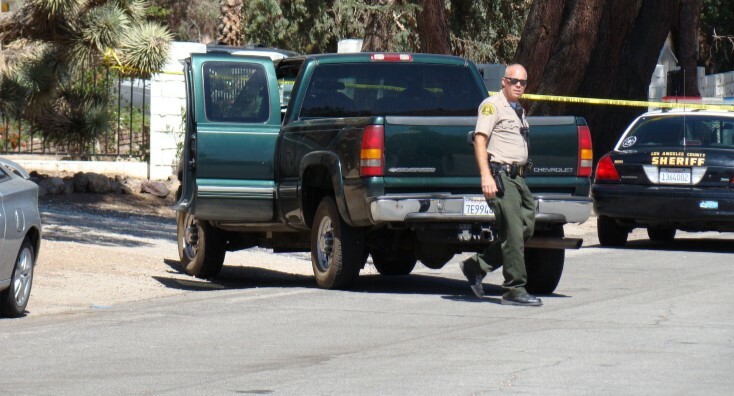 The shooting happened just before 11:14 p.m. Saturday, Aug. 25, on the 36500 block of Rozalee Drive in Palmdale, according to a news release from the Sheriff’s Information Bureau. “Investigators have learned that two male Hispanic adults were involved in physical altercation when an associate of both males feared for one of the individual’s safety. In order to defend him, she fired one round at the victim, striking him in the lower torso. The victim was transported to a local hospital where he was pronounced dead,” the news release states. All three people involved in the incident were acquaintances, deputies said. In the early stages of the investigation, it was not clear Sunday if detectives would ask prosecutors to file charges against the woman. No names were released, and no further information was immediately available. Anyone with information about this incident is encouraged to contact the Los Angeles County Sheriff’s Department’s Homicide Bureau at 323-890-5500. To remain anonymous, call Crime Stoppers at 800-222-8477. UPDATE: Homicide detectives have made two arrests in connection with the shooting death. Jessica Cortes, 24, and Alec Nelson, 28, both from Palmdale, have been booked for murder at the Palmdale Sheriff’s Station. They are each being held on $2 million bail. The weapon, a semi-automatic handgun, was recovered, sheriff’s officials said. The investigation is ongoing and no further information is available. UPDATE: The deceased has been identified as 38-year-old Ruben Flores, according to the coroner’s office and sheriff’s officials. UPDATE: The Los Angeles County District Attorney’s Office declined to file charges against Cortes and Nelson. Read our update here. 23 comments for "Woman detained in connection with shooting death of man in Palmdale [updated]"
Does anyone know who the victim was that got shot and died? Why are you going to go help them out or you just being nosey? There is no excuse to pull a gun out and shoot one of the fighters. Cell phones can call police to handle the situation. I think the shooter and her boyfriend attacked the victim together and then she killed him. Manslaughter. Why did she have a gun anyway? This is murder with a cover up of self defense period. I know what happened and she is right but there is no self defense in the state of California anymore so it’s more like 2nd degree murder for him and that sausage hopping b*tch! Unless you were there watching it all happen which you weren’t so why the harsh speculation? Come on Jill, liberals own guns too. This article doesn’t say what side of center they are. Funny reading these comments after the update where the shooter and friend were both arrested. Dp, what if A is not a supporter of either loser? Stop being a pawn. Lucky there was a “good guy with a gun,” otherwise that argument would have been just an argument. Says Social Justice Douchebag Tim Scott. Are you in any way qualified to discuss armed personal defense with anything other than a keyboard or touchscreen, Tim? No, of course not. This armchair quarterback [removed] is why people don’t respect liberal politics. Pluck your head out of your [removed] long enough to acquire a little common sense. Or at least learn to leave subjects you don’t know jack [removed] about to the people who actually handle them. LOL… Did I hit one of your gun nut nerves there, Steve? Wanna come shoot me, hero? C’mon man. You expect us to believe that you know every “a hole” in the valley? He’s a bigoted social justice warrior kicking back in his Lazy-Boy. Conspiracy is everywhere, are you really Richard Cabeza? For those who don’t know, that’s a name that Sellout Steve uses for Hispanics when he is thinking he is too clever to just say what he really thinks of them. And before the usual suspects say I’m “just making stuff up,” Sellout Steve admitted it under oath and if you feel the inclination you can read the deposition. I’m not asking anyone to take my word for it. Hofbauer has a history of insensitive remarks and been called out for it. The NAACP required a public apology by Councilman Hofbauer at a council meeting for his playing the “RACE CARD” joke. Your comment is an outright lie, Tim, and you are just making stuff up. “Richard Cabeza,” really? Now you are calling him a racist. Mudslinging at its worst. So, I take it you didn’t bother to check the facts. As I said, Sellout Steve grudgingly admitted, under oath, that he used the term ‘Richard Cabezas” to refer to petty vandals. People are welcome to check the transcripts, which are public record. It’s an interesting turn of events that Palmdale getting sued for discriminatory practices led to districting, which led to Juan Carrillo being elected in district 4, but he has to serve with the guy who’s blatantly racist comments were such a big part of Palmdale losing the lawsuit in the first place. I wonder if Mr Carrillo is aware of that, or if, like you, he has never bothered to look at the transcripts. Page 336, if you want a shortcut. Drop me a line at timshatemail@gmx.com and I will gladly forward you the appropriate page from the transcripts.